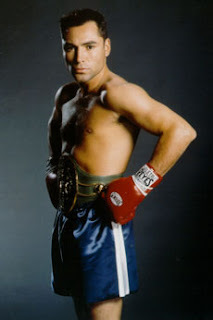 Beautiful Oscar de la Hoya has just been named the 2nd highest paid athlete by Sports Illustrated in their "50 Highest Paid Athletes in America" issue. Following Tiger Woods with $112 million, de la Hoya's $55 million managed to beat out Shaquille O'Neal, Kobe Bryant and Alex Rodriguez, who were also in the top ten. 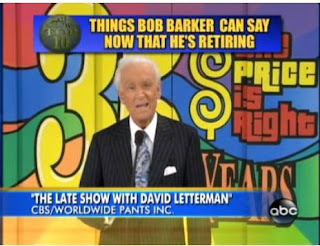 David Letterman has always been my favorite late night host, and Bob Barker has always been my favorite game show host (sorry Howie!). It was hilarious to watch this last night and I'm glad that Yahoo has it on. Enjoy! "I can't tell you how much I've been looking forward to getting out there to perform for y'all. In the craziness of the music business, performing is what I look forward to doing the most, so it really is disappointing for me to have to tell you that I won't be coming out to tour this summer. The fact is that touring is just too much too soon. But I promise you that we're going to get back out there as soon as is humanly possible to give you a show that will be even better. Thanks for all of your love and continued support." Apparently she has been facing some rough times with her dispute with Clive Davis, and firing her manager. I really hope that she gets back on her feet. Some people are saying that sales of tickets were pretty low. I still like you Kelly! One of the shows in Vegas that I've been willing to go see for a very long time is "Thunder From Down Under", unfortunately last time I was there I didn't have enough time and decided to watch other shows from Cirque du Soleil, but definetely every time I see pictures of this guys i wish I could be there! Nancy Drew opens this weekend and I have to say that I was pleasently surprised with this movie. I went to the screening thinking that it was going to be a waste of my time and ended up very entertained. Emma Roberts does a very good job and it is nice to see a little resemblence of her aunt in her. But the one that steels the movie is Josh Flitter, a kid that definetely has a future as actor and comic. He has done several movies in the past and he will be starring with Robin Williams in "License to Wed" later this summer. Nice movie to enjoy this summer. 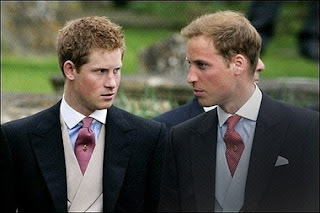 Prince Harry and William did their first US television interview and I have to say that they were completely charming. They seemed to be mature, insightful and down to earth, and that is a lot to say after watching how others like them have turned out. 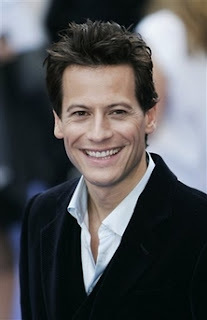 On the first movie of the Fantastic 4, I was completely focused on Chris Evans but after looking at several pictures of actor Ioan Gruffudd I have to say that I like him better than Chris. Although it would be nice to have them both... hey... I'm aloud to dream right? What I like about Ballet! Ever since I was a little kid I remember that the thing that I loved about ballet was the thights that the male dancers used. This picture may help understand why. They are Natalia Petrova and Andrey Shalin of the Volga Classical Ballet Company. My favorite singer from Spain, David Bisbal started a series of concerts in Spain. His tour's name is the same as his new album "Premonition". I really wish I have the chance to see him when he comes to the US. Matthew McConaughey has been chosen as 2007's hottest bachelor according to People Magazine. The list also includes: Jake Gyllenhaal, Chris Evans, Maksim Chmerkovskiy, Ludacris, Kenny Chesney, Blake Lewis, Adrian Grenier, Apolo Ohno, and Justin Timberlake. Pretty nice selection! What I liked about the Tony Awards! Since I went to the theatre I had to watch the Tony Awards when I got back home and as a result I went to be around 2 am. But I have to say that two moment caught my attention. 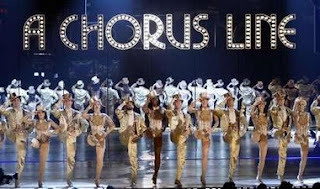 First the opening with the "A Chorus Line" ensemble and Raul Esparza's performance of "Being Alive" of "Company". 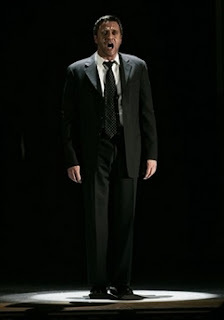 Definitely one of the best Tony Awards Ceremonies that I've seen, although I missed Hugh Grant. The good thing about not watching it live is that I could skip commercials and acceptance speeches. One of the things that I like about summer is that I get the chance to enjoy the Theatre in the Park performances, the first one of this season was "Fiddler on the Roof". The magic of this theatre is that is outdoors, you bring your own lawn chair, food, wine and enjoy a night if good theatre. The cast is selected from members of the community so anyone can participate, and although they participate in it just for fun but they do such a great job that the musicals look outstanding. I attended the last performance of the show on Sunday and man I had a blast. 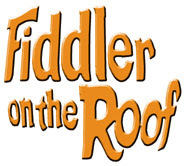 Congratulations to the cast and crew from "Fiddler"! 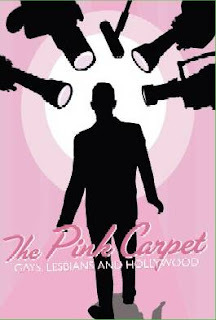 I had the opportunity to attend Saturday's performance of "The Pink Carpet: Gays, Lesbians and Hollywood" with the Heartland Men's Chorus and I have to say that once again they took my breath away. They did such an amazing job that I left the Folly Theater with my heart filled of love, courage and nostalgia. The program included songs like "Hooray for Hollywood", "Keep it Gay", "He Was a Friend of Mine", "As Time Goes By", among many others. I should mention Michael Gangitano and Gerald Gurss that made an excellent interpretation of "Flower Duet from Lakme" from the movie "The Hunger". Leslie Jordan did an outstanding job as narrator, he nailed ever single one of his interventions and he got a well deserved standing ovation. Congratulations for a job well done HMC! Well, it is over. 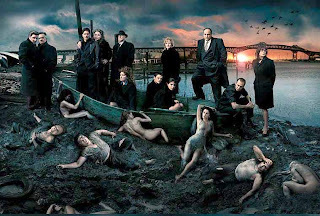 Although I have never ever seen and episode of "The Sopranos", it is amazing how much expectation this last episode created. My dad, who is a fan of the series, was completely upset about the ending of the show. I guess he was expecting that Tony would get killed, but the beauty of it really is that you can make you own ending. The truth of the matter is that with the ending of "The Sopranos" also comes the end of an era for HBO. So long Tony! You will be missed!